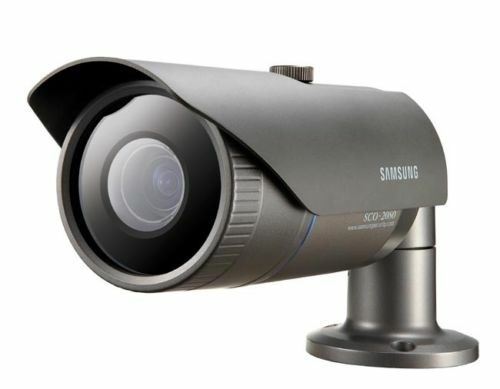 The SCO-2080 camera is equipped with a weatherproof housing, mounting bracket and a 3.6X varifocal auto iris lens. At its core is Samsung’s powerful W-V DSP chipset, which includes features such as true Day/Night operation with ICR, progressive scan, and remote control via RS-485 or coaxial cable. In addition, it is IP66-rated for both dust and waterproofing for any indoor or outdoor application.